A pass mark overall as the tremendous selections of Lynch and Ahanotu are tempered by the busts at the top of the order in Curry and DuBose. The signing of Workman was a sensible one at the time and worth the price of a 5th round pick. 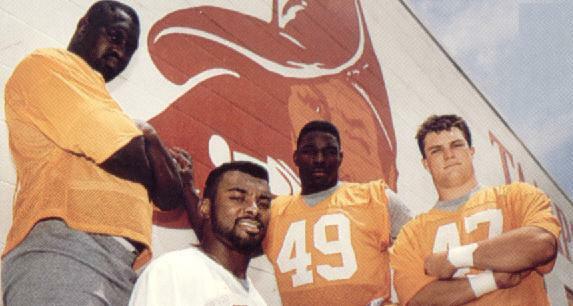 For 1993, the draft was reduced from 12 rounds to eight. The Bucs drafted alternately 6th, 5th, 8th and 7th through each round. The additional 3rd round pick came from Phoenix in return for DL Reuben Davis. The additional 4th round pick came as a result of swopping picks with San Diego in the 3rd round. The extra 8th round pick came from San Diego for LB Kevin Murphy. Again the Bucs had a top six pick, again they took a SEC demon from his college days and again (McCants, McRae) they blew out. Curry never became the pass-rusher in the pros everyone thought although neither did his Crimson Tide team-mate John Copeland drafted a pick earlier by the Bengals. Being No.2 to Hardy Nickerson is nothing to be sneezed at but DuBose never impressed even when he did get a chance to play. 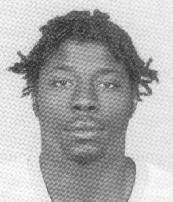 Hence became a special teams pick for four seasons before leaving football and having some serious off-field issues that led to his fatal shooting in 2000. 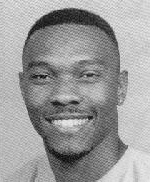 Overshadowed by his college team-mate Copeland throughout his pro career although he did have a season of some success with the Dolphins after being released by the Bucs. Doesn't get much better than this. Team-leader, Pro Bowler, over ten years with the team and a genuine all-round nice guy. One of the best picks in franchise history. Blocking in college is not the same as doing it in the pros and Harris was never more than an average full back in the NFL. Was a real deep threat for the Bucs until he injured his knee in the 1995 pre-season and was never the same player again. Used to celebrate each touchdown with a backward somersault in the endzone. Had one very good season as a receiving back in 1993 but then fell into disuse the following season. 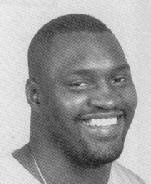 Had seen his best days when with the Packers in the early 1990s. Started over 100 games for the Bucs and ranks in the top 10 in franchise history for sacks. Spent most of his two years in Tampa Bay on the practice squad but was one of the best receivers in NFL Europe history from his marvellous 1995 season for the Barcelona Dragons. Never played football in the NFL at all. Had been drafted as much for his returning ability as that as a receiver but did not do enough on either count to make the roster. 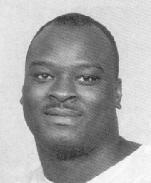 Was a nephew of former Oakland Raider great Cliff Branch. Never played football in the NFL at all. Had been a successful kicker and punter in college but could not win the five-way battle for the kicking job in Tampa that Michael Husted picked up. 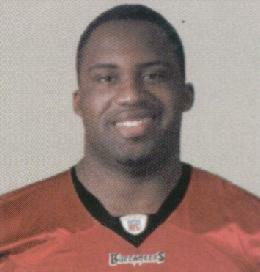 As the final pick of the entire draft, Alcorn became honoured as the "Mr Irrelevant" that year.